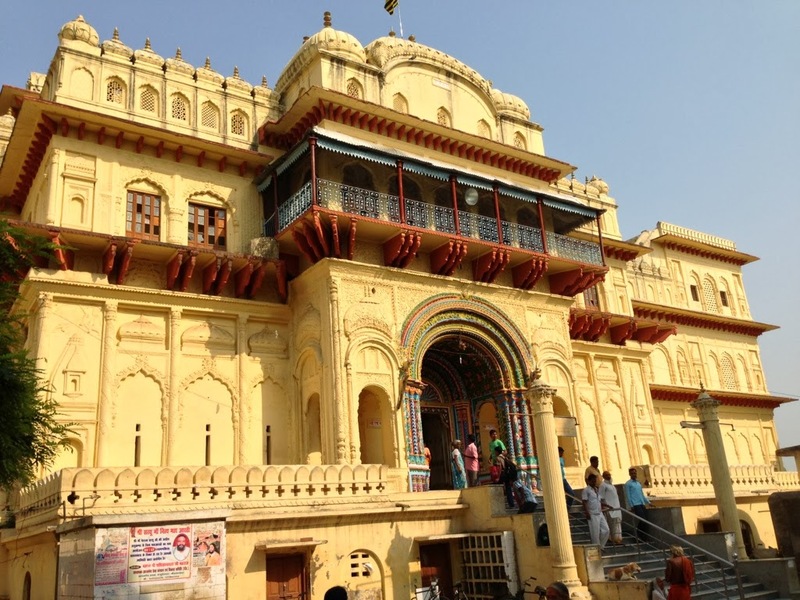 Ayodhya, Ram Janma bhoomi is believed to be the birthplace of Lord Rama located on the banks of river Sarayu. A piece of Vaikuntam (heavenly home of Lord Vishnu) was given by Lord to Swayambhu Manu, later from Manu to Manu Chakravarthy. 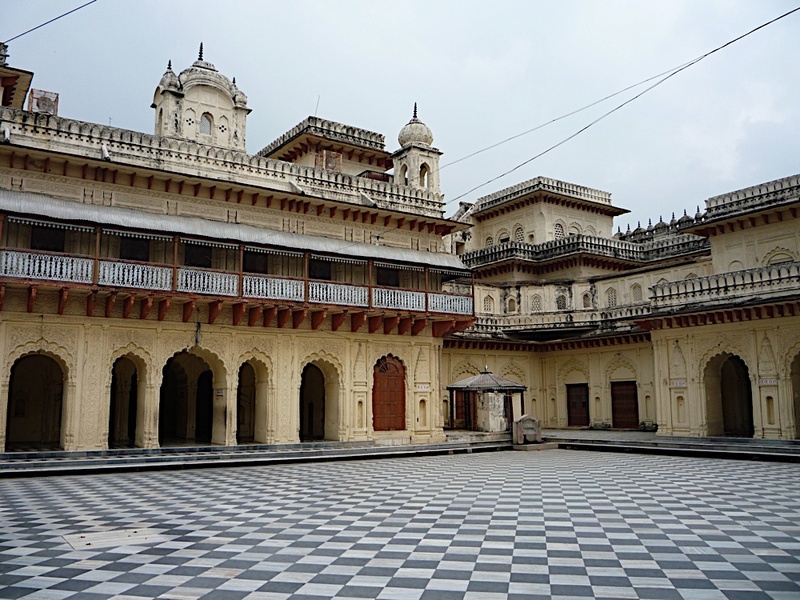 Thereafter, this city was later served as capital of Ikshvaku dynasty. This Divyadesam is said to be one among the 7 Mukthi Kshetrams (cities granting liberation). Ayodhya is considered first among the seven holy (mukti) cities for Hindus, the rest being Mathura, Maya, Kasi, Kanchi, Avanthika and Dwaraka. The word "Ayodhya" comes from the root word "yudh" meaning "not to be fought" or less literally, "unconquerable". 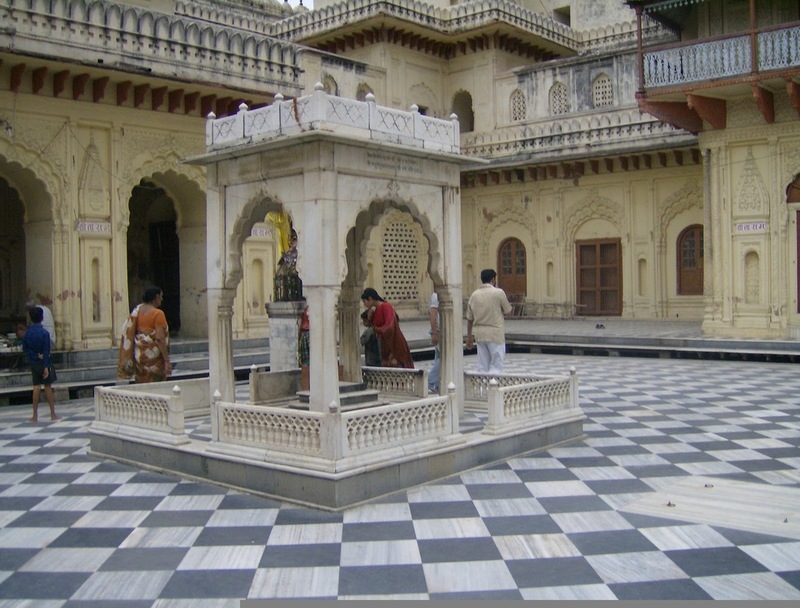 It is said that the incarnation of Lord Rama had taken place here. Lord Rama was born in Navami tithi of Chaitra month in the star of Punarvasu. Along with Him, in the form Adishesha - Lakshmanan, Bharathan and Shatrughan were born. All four brothers were born in Ayodhya. Hence it is celebrated as Ram Janma Bhoomi. Thousands of devotees gather at Ayodhya everyday to have the glimpse of Lord Rama. Among several places in Ayodhya, now we are in Kanaka Bhavan. 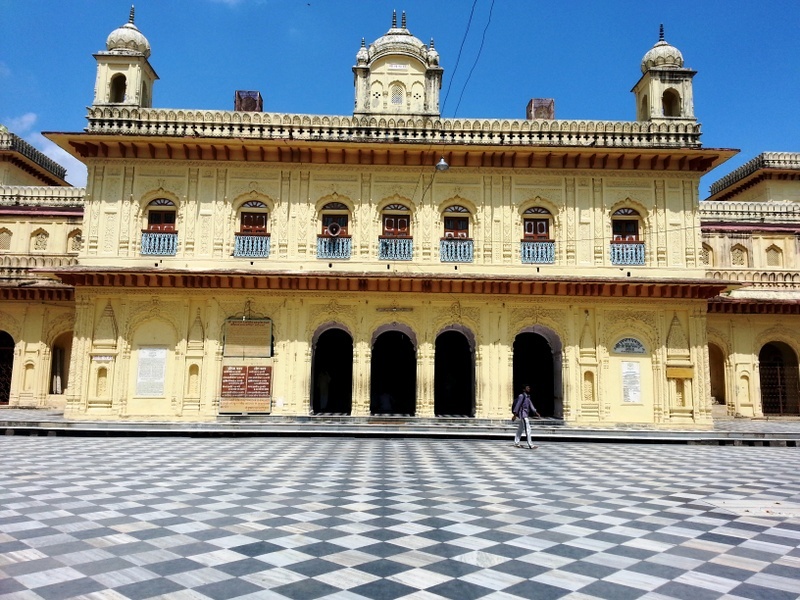 This is the palace where Lord Rama and Sita resided. It was Lord Rama and Sita Matha's private chambers (anthapuram). Kanak means gold in hindi, so the "house of gold" takes it's name from the gold decorated statue of Ram and Sita in the main altar. Apart from being embellished with gold ornaments, the images also wear gold crowns. 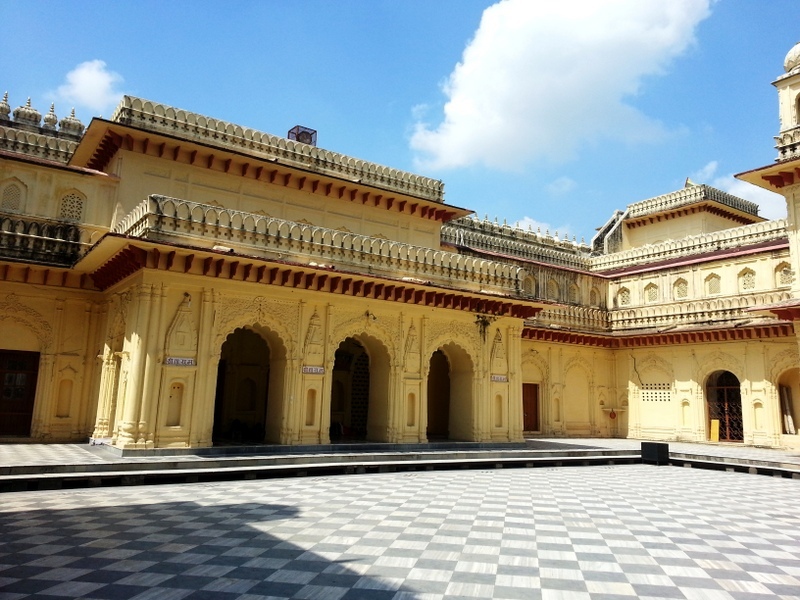 It is said that the whole palace was made up of gold, due to many invasions all were looted. One can find lot of shops on the way to Kanaka Bhavan, where you can purchase bags, things crafted with Jimiki, tiny dresses for idols of perumal. One more attraction here is Lassi, which is served in disposable earthenware pot (red clay-pot). Due to Babri Masjid Rama Janma bhoomi dispute, the security here is very tight and one has to cross numerous check points before entering the shrine. Pilgrims climb the marble steps, chanting the divine name of Sri Rama. Inside we find a huge courtyard. Sri Rama and Mata Sita were 12 and 6 years old respectively during their marriage. Thereafter, Sri Rama and Sri Sita lived in this Kanaka Bhavan for 12 years. We can imagine how many days the Divine Couple would have spent happily in this. It seems, Dasaratha had appointed aged persons of 90 years old as guards for this anthapura. Early morning Sri Rama used to get up and come outside. The old persons outside would be wearing saffron dress. They would be appearing with sandal paste and flowers. How saffron dressed persons appear with such cosmetics? It seems, these old persons were so much devoted to Sri Rama, that they did not find time to wash their clothes. That is they would go for a very quick bath and old clothes would be just dipped in water and dried, without wasting time in elaborate washing. Thus their white dress had slowly turned brown! Then how is it that they found time for applying cosmetics like sandal paste and flowers? They never had time for such make-ups, too! Sri Rama used to come out of His private chambers, so that He could perform His morning ablutions. The old persons outside guarding would embrace the Lord. They were accustomed to those actions, right from Sri Rama's childhood. During such embracing, all the sandal paste and flowers on Sri Rama, would be applied on these guards. This is what Perialwar says, 'udutthuk kalainda nin peethakavadai udutthuk kalandadundu' - we have to adore the flowers and other cosmetics used by Him, and use them for our decoration. This practice was first performed by these guards. We can see the imprints of the Divine feet of Lord Sri Rama here. The place where these imprints are seen, has a speciality. In Accordance with the boons granted to Kaikeyi, Sri Rama departed for 14 years life in forests. To climb the chariot, Sri Rama pressed the ground and this is that place. The people of Ayodhya ran behind the chariot crying loudly for Rama. It is also known as Raj Dharbar, Dasaratha Darbar. 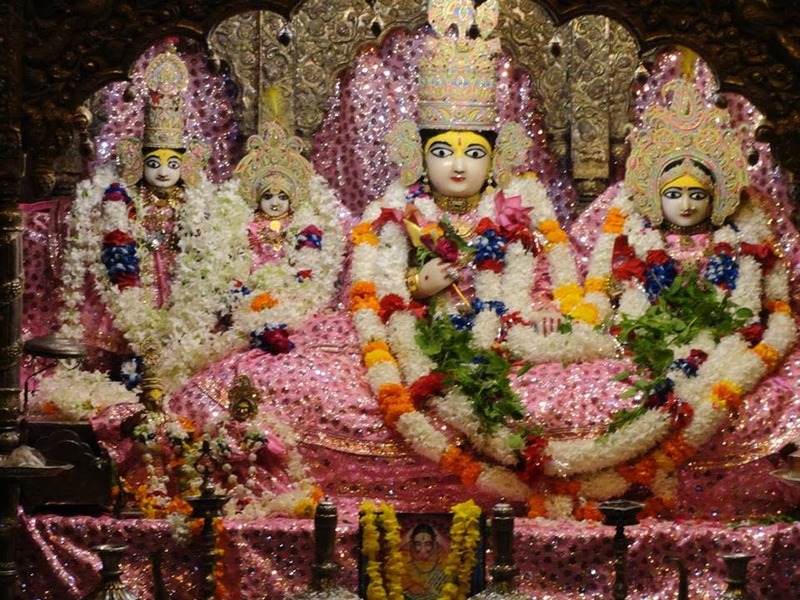 There is a big hall and in the hall we see idols of Sri Rama, Sita and Lakshmana. We also see a set of small idols there. There is an interesting story about this place said by localites. 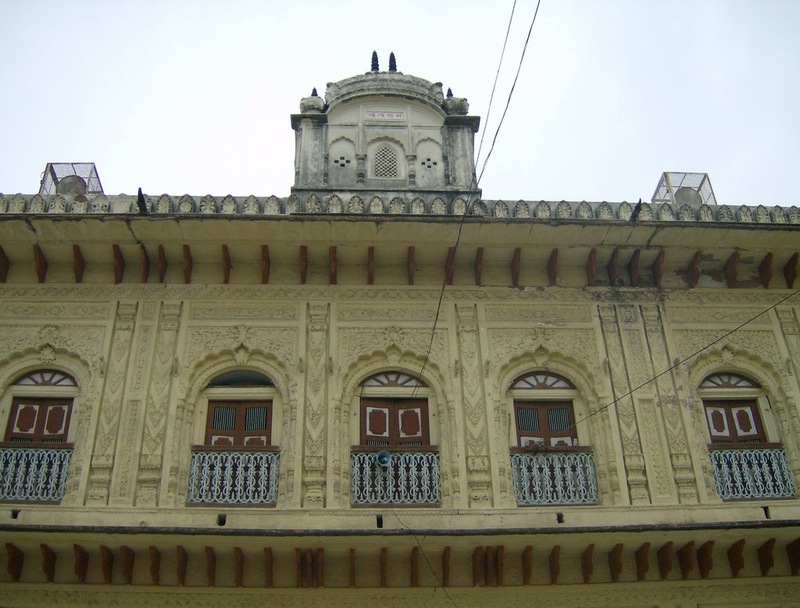 It is said that Lord Rama and Sita Matha got down first from the decorated palanquin (Pallakku) or chariot at this place after the marriage. The daughter-in-law have come for the first time to the palace. They were welcomed in a very grand manner with reciting of Veda Mantrams, Mangala slokhas etc. There is a custom followed in north India that the daughter-in-law who comes home first, need to serve rice/food to her in-laws. First plate/tray of rice was offered to Kaikeyi, in turn Kaikeyi gifted the newly wed Rama and Sita with a palace made purely of Gold - the Kanaka Bhavan. The second plate was offered to Sumitra, in turn Sumitra gifted Nethi Chutti. The third plate was offered to Kausalya, in turn Kausalya gifted a beautiful garland made of pearls and diamonds. The last plate was served to Dasaratha, in turn Dasaratha granted a boon to Sita instead of materialistic gifts because the same were already gifted by the queens of Ayodhya. In the Treta and Dwapara Yugam everyone will refer Lord Rama as Sri Rama. But, in the beginning of Kali Yuga Lord Rama will be referred as Sita Ram. Lord Rama will be called along with your name only. So this great boon was given to Sita by Dasaratha at this place known as Ram Dharbar.